The Junior Vario Sleeping Bag from Ayacucho is a highly versatile sleeping bag for young explorers. Whether they are summer holiday camping, playing out in the garden or visiting friends and family the Vario is a great sleeping bag, keeping kids warm and cosy all night long thanks to the Dura Loft H1 insulation. 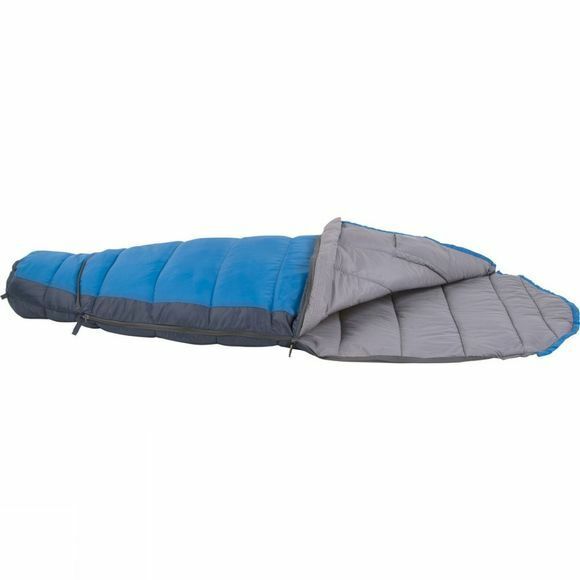 There is also a zip at the base of the sleeping bag which unzips to create an extra 30centimetres of length in the bag, allowing for considerable growth spurts throughout the years. Hanging loops at the base make it easy to air out and the two-way zip can be undone completely so you can use it as a blanket in warmer conditions.